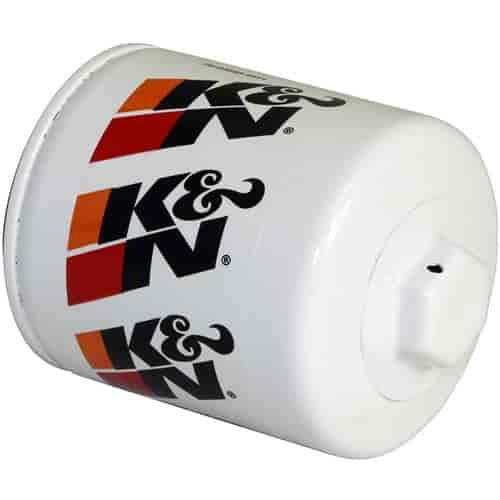 K&N PS-1002 - Pro Series Canister Oil Filter Height: 3.75"
Does K&N HP-1002 fit your vehicle? HP-1002 - K&N HP Series Performance Gold Oil Filters is rated 5.0 out of 5 by 3. Rated 5 out of 5 by JamesW from K&N filters Trusted! Been using them in all my vehicles for over 15 years. Rated 5 out of 5 by Husker Phil from Mainstay oil filter for my 2002 Toyota Tundra 4.7 I have used nothing but this oil filter in my 2002 Toyota Tundra 4.7L V8. I have performed every oil change myself since I bought the truck new in March, 2002. I now have 342K miles on this truck and it runs as well as the day I bought it. Rated 5 out of 5 by Pete K from Great filter, peace of mind using it. I have used these for years, and although it is impossible to tell if a really good filter makes a difference, with an expensive engine it is just good insurance. Easy to install and remove.